September 7, 2018 3:22 pm. Jim Byrne will be reunited with Stella Ombra at Doomben as the gelding tries to regain winning form. 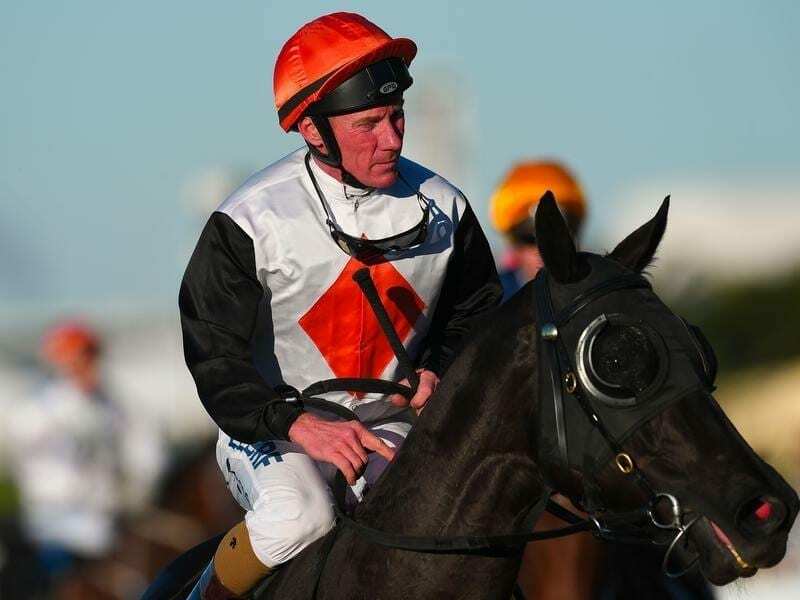 Jim Byrne will be reunited with Stella Ombra in a bid to coax another win out of the tough gelding at Doomben. Stella Ombra hasn’t won since August last year but has been racing well without much luck in his nine starts this campaign. At his last start Stella Ombra was ridden by apprentice Clayton Gallagher when third behind in-form Tversky at the Sunshine Coast. With Stella Ombra up in class and down in weight Byrne has regained the ride in the Ascot Plumbing Handicap (1350m). Byrne has had seven rides on Stella Ombra for two wins and has finished worse than fourth on him only once. Trainer Kelly Schweida said Stella Ombra seemed to go well for Byrne and Saturday’s race looked a nice one for him. “He’s been a good horse winning eight times for us but he just needs a bit of luck these days,” Schweida said. Schweida is noted for having tough horses who can have long campaigns and another of his horses in stayer Outraged fits that bill. The trainer is also hoping for a change of fortune with Outraged who was unlucky when third in a blanket finish at the Sunshine Coast two weeks ago. Outraged contests the Madison Cleaning Services Handicap (2000m) where he meets much the same field as he did last time. “He got caught very deep in the middle stages last time so it was a good run,” Schweida said.